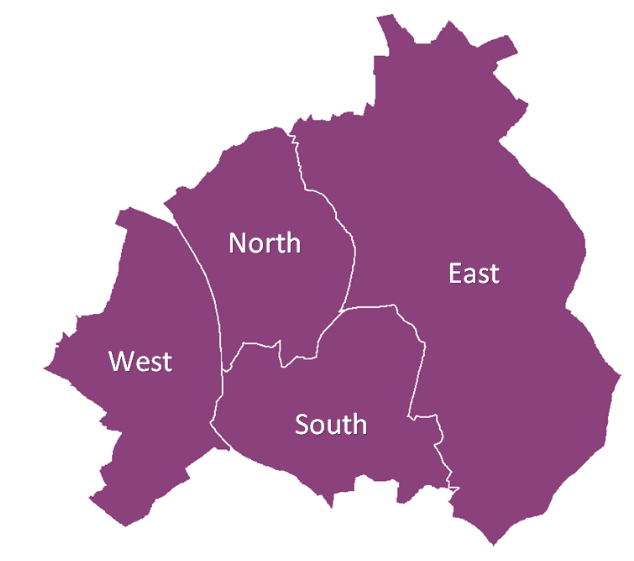 Walsall's 20 wards are grouped into 4 geographical areas called localities which provide a higher level overview of the borough compared to the ward/census profiles. The locality profiles, below, have been produced to provide insight into the differing demographic characteristics & challenges faced by each. To access them, please click on the map or the locality profile list at the bottom of this page.